I wanted to make something simple, fast, and feminine the other day. 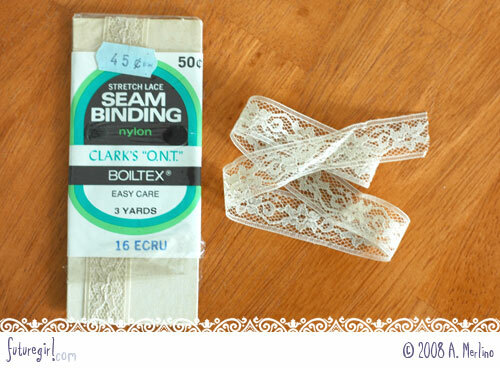 I found this vintage seam binding in my stash and a simple shell-like button. In about 5 minutes, I had this cute little bracelet. 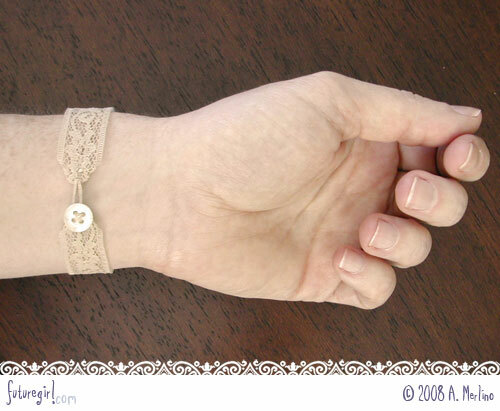 1) Cut your lace to the right length to fit around your wrist. 2) Fold over one corner. I laid a pin across the end of the lace where I wanted to make the fold, then used my finger to fold it over and press it down. 3) Repeat for other corner. 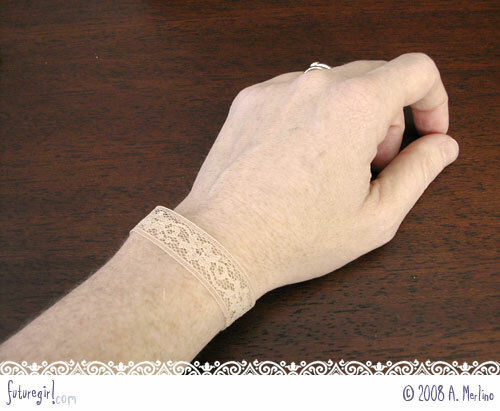 4) Use matching thread to sew the folded edges into place. 5) Add a small button to one end and a loop of thread to the other end. 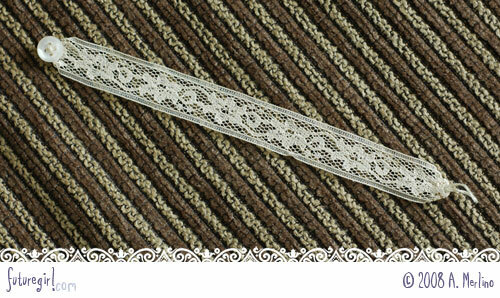 I've got a ton of ribbons, lace, and fabric strips in my stash that would look super cute as bracelets. I bet you do, too.